The Mi-Bio team seeks to leverage recent advances in machine-learning and synthesis to develop next-generation bioelectronics platforms for patient care. 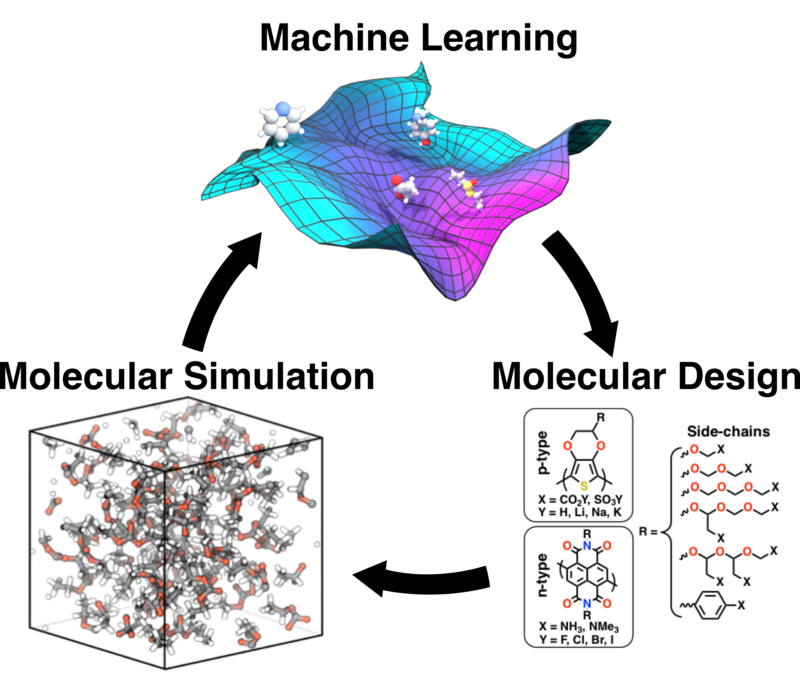 In this area, our team is seeking to revolutionize the design and implementation of novel bioelectronic materials using machine learning. Here we are combining high-throughput simulations and experimental testing to rapidly converge on optimized materials for targeted applications. By combining experimental and simulation data into a single machine-learning framework we are reducing the number of iterations required between conception and demonstration, thus dramatically accelerating the timescale of translation. In this area, our team is developing novel devices based on organic and hybrid materials for tailored chemical sensing in targeted applications. 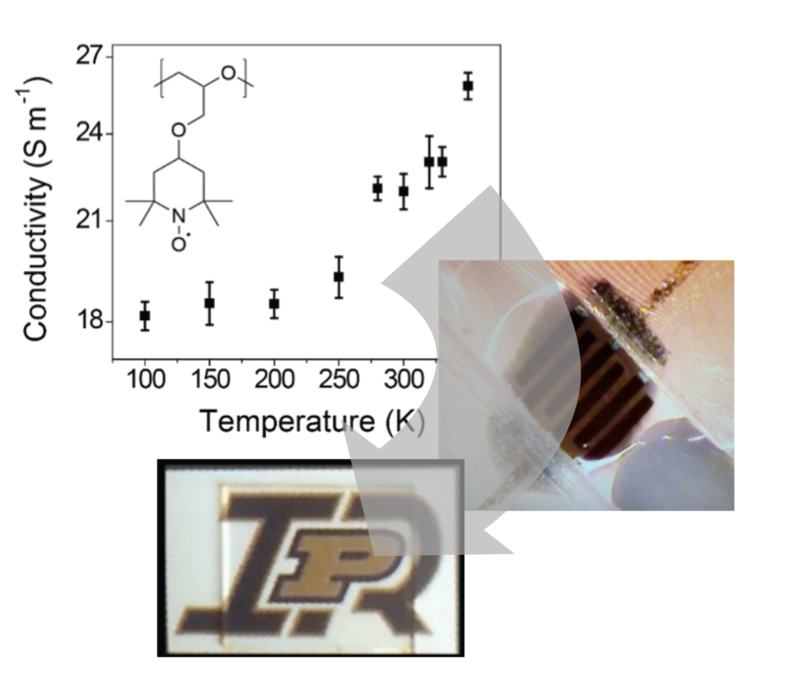 Here we are leveraging our broad suite of novel materials with unique electronic, spin, and chemical functionality to achieve these functionalities. In combination with adjacent activities in materials synthesis and wearable implementation, these devices will provide the backbone of next-generation medical devices. In this area, our team is developing novel biosensors for wearable monitoring and treatment applications. 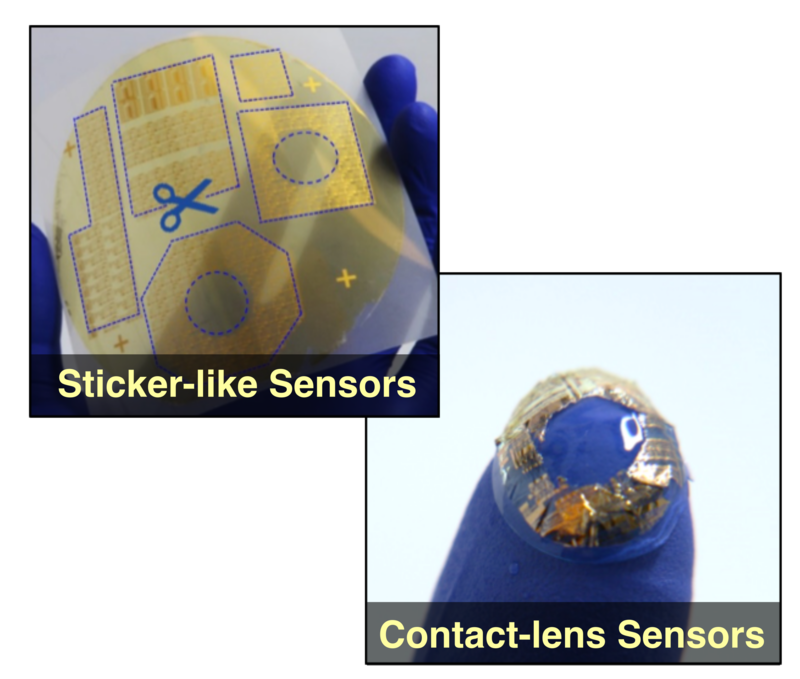 Here we are utilizing cutting-edge fabrication techniques to implement novel devices into wearable form factors, including sticktronics and contact lenses to improve monitoring and provide critical and accurate information for guiding medical care.